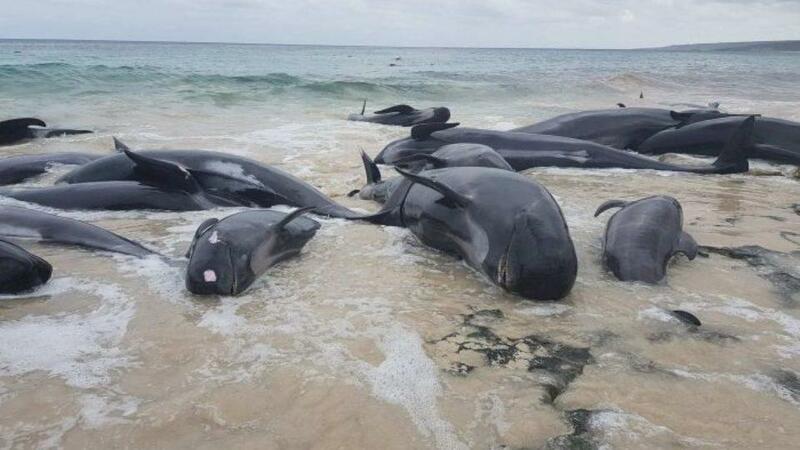 More than 150 short-finned pilot whales were wrecked on a beach in Hamelin Bay, Australia on Saturday. A huge number of volunteers were busy pushing back the whales back out to sea. The beach situated 315 kilometres of South Perth was on the alarm and a rescue operation was on but only a handful of whales were sent back. Department of Biodiversity and Conservation said that one of six whales re-stranded and had to be euthanised. This incident happened on Friday after a fisherman noticed the whales and alerted the local authorities. Fear of dead whale attracting the sharks still remains. 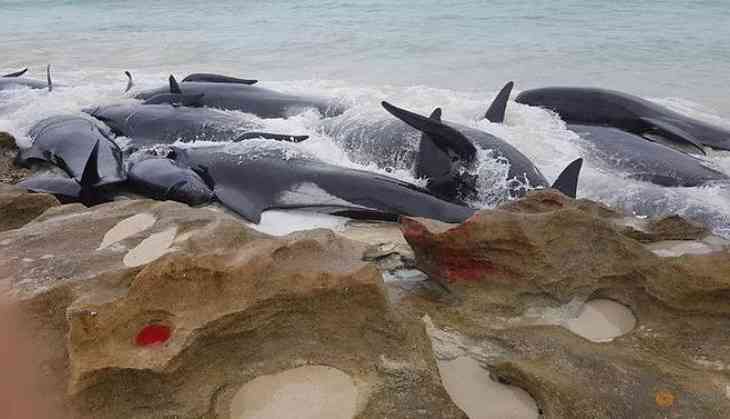 The tendency of mass stranding in pilot whales is common phenomena in Hamelin Bay. In the year 2009, nearly 80 piolet whales died due to standing. Short-pilot whales are 5 meters long and weigh up to three ton. They are commonly found in all kind of water and travel in groups of less than 100. The largest stranding incident happened in 1918 on the shore of Chatham Island, nearly 1000 pilot whales stranded.